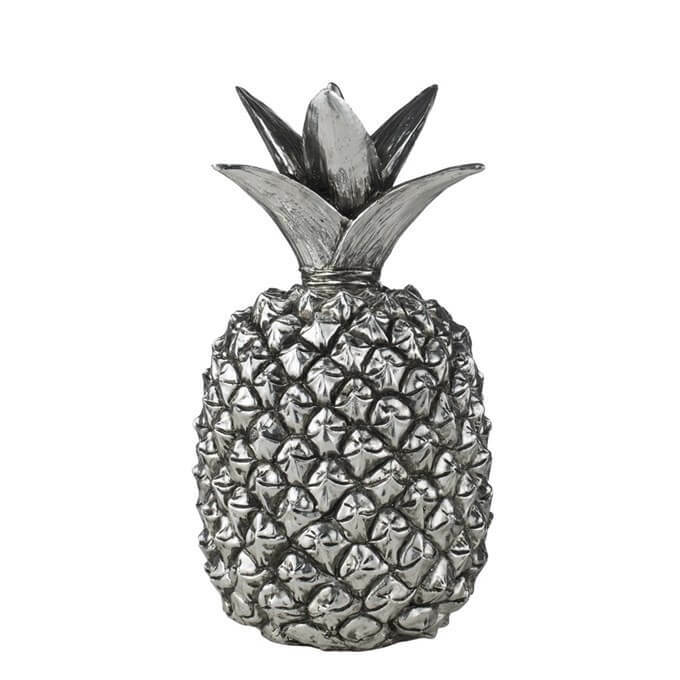 Exotic and sleek pineapple with gorgeous details in the colour antique silver. 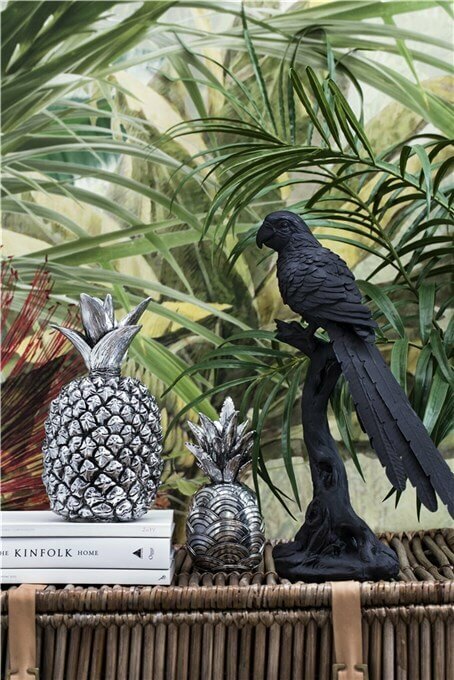 The pineapple is made of polyresin and measures L13xW13xH27 cm. The pineapple’s tropical yet stylish design provides space for personality and play, and opens up a wealth of possibilities to make your décor a personal summer paradise.